Cruzeiro’s sporting director has revealed that Alex De Souza has turned down a return to the club, following the Brazilians recent release from Fenerbahçe. 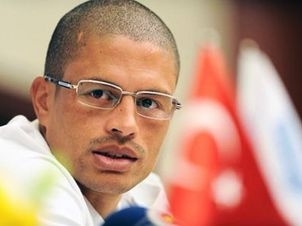 The 35-year-old, who left Cruzeiro in 2004, recently had his contract terminated at the Turkish club after falling out with coach Aykut Kocaman. Alex is now a free agent and has stated that he wants to continue playing professional football for another two years before retiring. Thousands of Cruzeiro fans took to the streets of Belo Horizonte earlier this month, to call for the former idol to return to the club, however Alex has taken the decision not to. Alexandre Mattos, Cruzeiro’s sporting director, said: "I received a phone call from Alex who told me after speaking with his family, he had taken an irreversible decision and he would not come to Cruzeiro. He did not care about money or even sports project, it's just a personal decision. It was clear that this was not the right time for him to return to Cruzeiro. This is a decision that we must respect and if he wants to come back here, we will be opening the doors greatly. He is an idol, a player very much loved. " During his time at Cruzeiro, Alex was made team captain and the number 10 led his team to winning the Brazilian Triple Crown, among other titles. The club won the Brasileirão, with a record breaking 100 points, the Copa do Brazil, and the Mineiro Championship all in one season. Alex has also been linked with a return to former club Palmeiras.